Step 1 is research. You need to know your audience. And let me warn you to not skip this step because you may think you know your audience. Your audience can change over time and what worked yesterday, may not work today. Step 2 is choose your social media carefully. 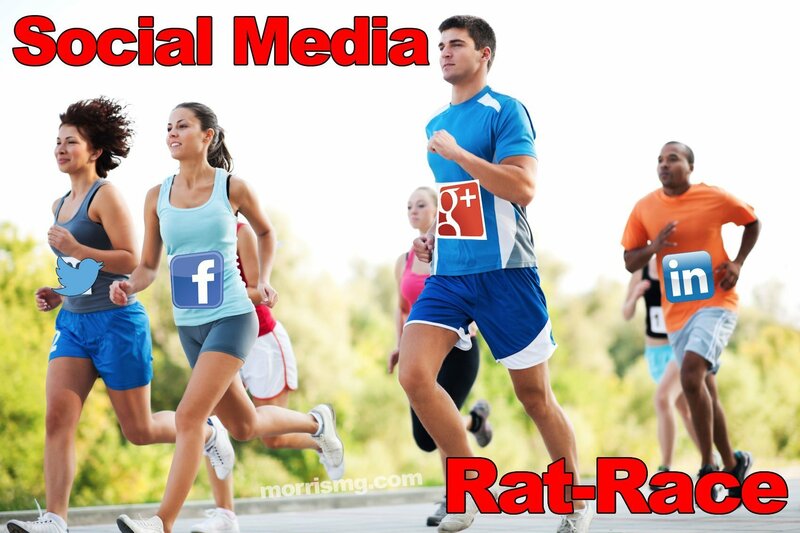 Not every social media outlet is good for every business. One could say that Facebook could work for every business, but that’s a lie. There are a number of businesses that Facebook would be nothing more than a waste of valuable time and money. Step 3 come up with your key performance indicators. This is more than just setting goals. One could easily state for example that their goal is growth, but the KPi is how much growth, when and where. It comes down to how do you know that you are actually growing. Step 4 write a play book. This should detail your audience, your KPis, concepts, etc. And it should be different for each platform. A playbook doesn’t need to be a hundred page master piece, in some cases just a couple of pages will do. Can you skip this step, sure you can if you want your marketing to fail. It’s amazing how much more powerful your marketing will be when you write it down. Step 5 get everyone aligned. Everyone in your organization or on your team needs to know and understand the big picture and assigned tasks. If you are a small business with no team, I urge you to get some help. Thinking that you can do everything by yourself is a sure way to fail. Marketing is a skill that needs to be practiced and altered as audiences change. This sort of professional guidance is invaluable. Step 6 schedule time. Do this at the beginning of the week to schedule posts, pins and other content. This is also a great time to get your team together to quickly go over the previous week’s results. We aren’t talking an exhaustive analysis. Just 30-60 minutes at most. I’ve seen many companies get bogged down on a week-by-week basis and don’t allow their audience a chance to respond to posts. It takes time to determine the overall marketing results and guessing based on a few data points will have you running in circles instead of appealing to your audience. Step 7 is creation. Use a spreadsheet or whiteboard to map out the week or month. Get your content laid out and work on the topics, headlines, links and scheduling. This is taking everything you created in your playbook and putting it on a timeline. Step 8 post relevant content in a timely manner. A lot of times we get caught up in our marketing and forget there’s a world out there. We need to stay plugged in to see how things change. This is especially true if there is any breaking news in your industry. Doing this ensures your audience feels that you are relevant and looking out for them. Step 9 treat all social outlets separately. Does this mean that your message is different in each outlet? In most cases, yes. Your audience is different on each outlet, so your message should match them. But it can be very similar and in some cases identical. Step 10 plan for customer service. You need to assign someone to be in charge of customer service responses for each outlet. Make sure that person is aligned to that audience. If you are a small business and have to have someone multi-task, make sure they realign themselves each time someone responds to a posting. Step 11 is reporting. Depending on your goals, schedule reporting to happen weekly, monthly… or whenever seems appropriate. Many businesses stop here and don’t do step 12. Regular reports will ensure you have all the data for step 12. Step 12 is reanalyze on a regular basis. This doesn’t mean to do this daily or even weekly. But if something isn’t working set up an A/B test and see if you can improve the results. This is where someone with marketing experience can come in really handy to make sure your marketing stays on track.